1st place - Joshua Iosevich and Nathan Iosevich with 3 points. Trophy to Joshua after 2nd blitz playoff. The first blitz playoff ended in a draw. Tie-breaking 2nd Blitz Playoff won by Joshua Iosevich (right, black pieces) vs his brother Nathan Iosevich. Both brothers are very good chess players. The Youth tournament is every Saturday from 10am-1pm. Don't forget: The 18th Annual Arkport Open Gran Prix Chess Tournament is October 5th. The Chess Center van is going! 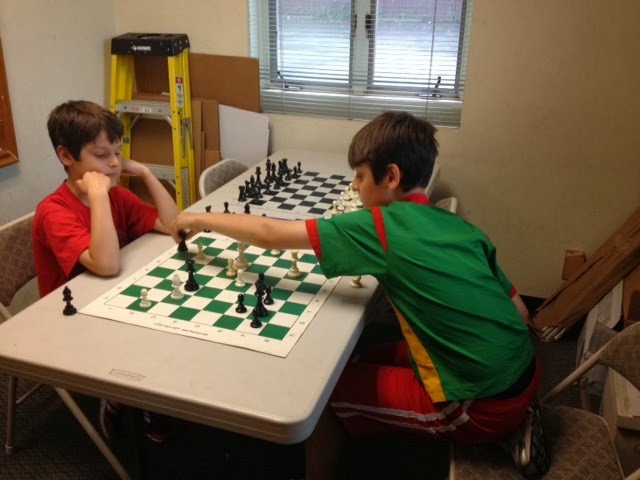 The regular Saturday tournaments (Youth morning and Adult afternoon) will still be taking place at the Chess Center.